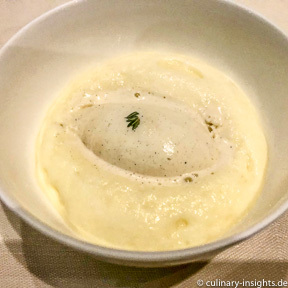 The concept is as before – for the dinner you can’t choose the length of the menu, there is only one option (250€, with ‘surprise’ wine pairing 370€) whereas one could augment the menu with ‘some’ (+80€) or ‘a lot’ (+150€) truffles. We didn’t choose so, very wise indeed as it later turned out. 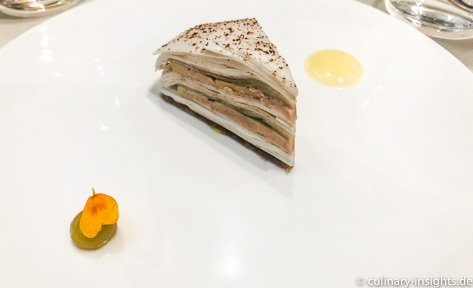 After some nibbles (not really noteworthy), the menu started with Barbot’s classic millefeuille of foie, apple and mushrooms. 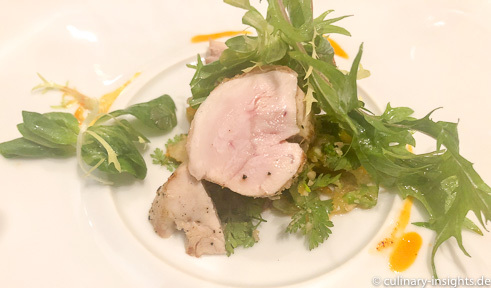 A clearly ingredient driven dish with almost no seasoning that this time couldn’t even let the protagonists speak – it was blant and tasteless. 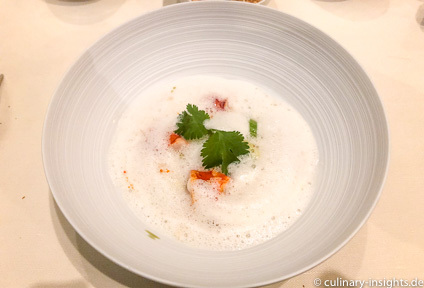 Next up was the best dish of the night, a rather solid Tom Ga Kai with lobster – I deliberately use these term as there was no elevation of the Tom Ga Kai idea to something special, even the lobster was not adding much to our enjoyment. Loup de mer was next – again, almost no seasoning, it seemed steamed and didn’t have a characteristic flavor. What Bardot thought in paining it with Sushi rice (more rice-bisi than risotto) and a vinegar driven beurre blanc will remain his secret. Maybe he wanted to re-build Sushi? The combination didn’t work at all. Next up rabbit (can’t remember the other ‘ingredients’) – solid cooking, but not memorable or anything. The superior truffles option would have had white truffles shaved over this. I shivered when observing that on other tables. 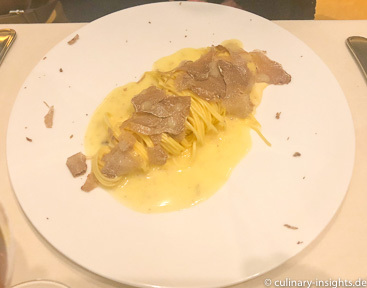 My dining companion asked for a non-meat option and got the truffles pasta (this was the +80€ option that we didn’t ordered and weren’t charged) – the whole service staff was sooooo proud to present this. And it was again tasteless – every neighborhood Italian served that better. How can a three star restaurant serve something like this? Just look at that butter sauce…. 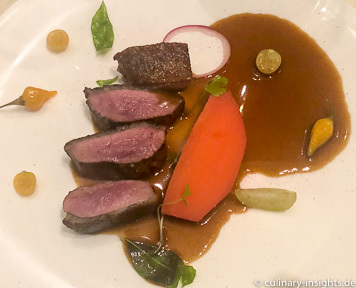 My main was duck with some veggies – as you can infer from the picture the meat had been too long in the holdomat – that was good and solid 1*. Needless to say the non-meat alternative was the same dish with fish and different/no sauce – chapeau! What can I say? Quoting John McEnroe: “You cannot be serious!” Openly, it was a joke! The whole theatre was somehow focused to impress people who have no clue about fine dining, there was no atmosphere of enjoyment in the room and the service didn’t really add much to the experience. Needless to say, the wine pairing was not rememberable at all and sometimes did not even work. As I sad – I requested the menu and pairing and as soon as I receive it will augment this article. 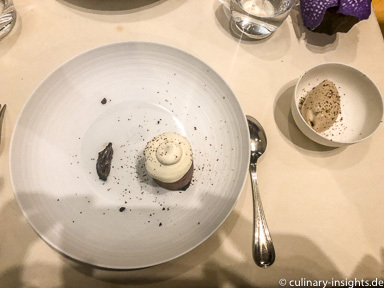 I can truly understand Michelin’s decision to relieve them from the third star – better for the restaurant and better for potential guest not having adequate three star-level expectations. 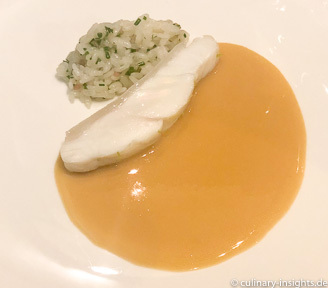 This entry was posted in Allgemein, Europe, France - Fine Dining, L'Astrance and tagged France, L'Astrance, paris, Pascal Barbot, Three Star Michelin by IFS. Bookmark the permalink.